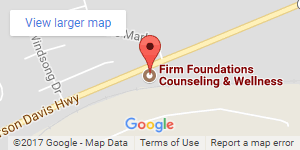 Firm Foundations Counseling & Wellness exists to serve individuals and families on their journey towards emotional, psychological, relational, and spiritual wellness. It is our vision to provide all persons with access to quality mental health care. We are committed to doing so through a therapeutic process that focuses on prevention, early intervention as well as more intensive treatments for chronic illness. We welcome you and consider it a privilege to walk alongside on your journey towards healing and wellness. We believe all people should have access to quality mental health care. We accept most major health insurances, Medicaid, and offer a sliding fee scale. Have a high deductible or co-pay? Payment plans are also available. We offer appointments that work for your schedule whether that’s early morning, afternoon, or evenings. We have a clinical team of highly qualified mental health professionals committed to quality care. Each of our clinicians uses therapeutic approaches proven by research and will work with you to track progress throughout treatment.